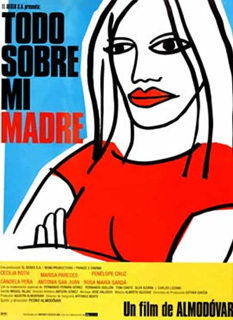 Todo sobre mi madre (all about my mother, 1998) is a movie directed by Pedro Almodóvar with Cecilia Roth playing Manuela, Marisa Paredes as Huma Rojo, Candela Pena as Nina and Penélope Cruz as Rosa. This drama story tells about Manuela who looks for the man she loved, the father of her son after that this one was hit by a car. For the first day, you will go to the Tivoli theatre (c/ casp 8) at the Eixample district. 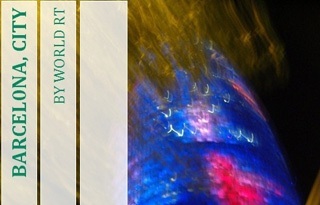 From the catalunya square, walk up the passeig de gracia street and take the first street on your right. Manuela went there to watch a show. Keep walking on the street then turn right at the first crossroad, keep straight and after crossing the square, the street changes the name calling via laietana at the Ciutat Vella district. At the number 50, there is the Gremi de Velers house, it can be spotted meanwhile Manuela and Agrado were walking by holding arms. Just behind the house, there is the Catalan Music Palace (c/ palau de la música 4-6) and the flat of Agrado was just in front of it. Now go back to the laietana avenue to continue your walk, when you will come up to the jaume 1 metro station, there is a street on your left called princesa, take it. It is the same one than to go to the Picasso museum and when you will reach almost at the end, there is a square called punctual (before the big street) on your left, well just behind it, there is a scene where Manuela and Rosa were talking meanwhile sitting on the bench on the allada vermell street. Now go to the big street called comerç and turn right then 2 streets farther on your right, you should walk on the passeig del born street. When you will arrive to the santa maria square, just behind the building in front of you, it is the caputxes street where Manuela and Huma met Nina. Time to go back to the laietana avenue, don’t worry I`m not going to tell you to turn back because there is a better and quick way. Just take the small street, near the caputxes street, called canvis nous and about 1 minute, you will reach it. Once there, turn left and when you will cross another big avenue called passeig de colom, turn right. Few meters farther, you will spot the duc de medinaceli square on your right. Manuela and Rosa found the father walking with his dog. Keeping on the avenue, you will reach the Columbus statue (plaza del portal de la pau). Manuela passed here in taxi. Now to end the day, you will take the metro L3 at the drassanes station on la rambla street, direction trinitat nova and get off at the lesseps station at the Gracia district. On the lesseps square was situated the Ramos house, parents of Rosa. 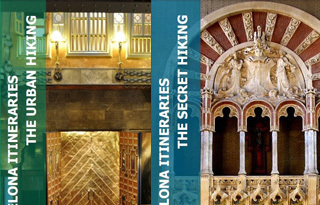 For the 2nd day, you will discover the Sagrada Familia (c/ mallorca 401) at the Eixample district. 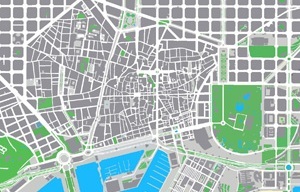 From the catalunya square, just walk up a little the passeig de gracia street where you will spot the metro L2, take it in direction badalona pompeu fabra and get off at the sagrada familia station. After the Colom monument, the taxi drove until the Basilica and Expiatory Church of the Holy Family where there are some scenes with the nativity façade. 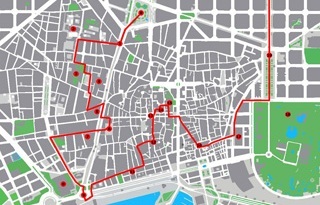 Take back the metro and go to the opposite direction, make a change at the passeig de gracia station, direction la pau L4 and get off at the ciutadella vila olimpica station. You will walk until the Hospital del Mar (passeig marítim de la barceloneta 25-29) at the Ciutat Vella district where Manuela and Rosa went to see a doctor. To go there, once you will be out of the metro, take the first street on your right and keep straight until you will see the sea then turn right and in few minutes you will spot it. After that, for the last visit, go back to the same metro station and go to the opposite direction, make a change at the urquinaona station, direction hospital de bellvitge L1 and get off at the espanya station. Just behind the 2 high towers, there is the bus number 13 which will bring you to the Montjuic cemetery (c/ mare de déu del port) at the Sants Montjuic district where was buried Rosa and where Manuela and Lola met.